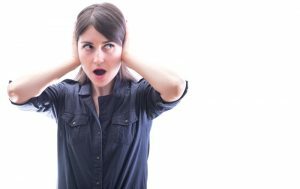 Sure, it can be easy to ignore some of the noises that the systems and appliances in your home make. We often deny that something might be wrong because fixing it can be a nuisance. However, certain noises should not be ignored. While a rattle, for instance could simply indicate a loose panel, it could also suggest a cracked heat exchanger, which could lead to a carbon monoxide leak. Here at Shavitz, we know just how important it is to protect yourself and your family. If you are hearing some suspicious noises, don’t hesitate to schedule a visit with one of our technicians. Below, we have listed some sounds your furnace definitely should not be making. A loud screeching sound is likely a sign that the blower motor in your furnace is not working properly. A malfunctioning blower motor means the heat produced by your furnace will not be able to circulate warm air around your home successfully. This might just mean that the blower motor is in desperate need of lubrication, but it could also suggest the fan has stopped altogether. To properly diagnose this situation, it is important that a local HVAC technician visits your home. Once diagnosed, they can advise you on what steps need to be taken next. If it sounds like metal-on-metal, this might be an indication of a serious problem with the furnace’s blower wheel. If this is the case, you must turn off your furnace and contact a professional immediately to prevent further damage to the wheel. More damage to the wheel means more damage to your wallet! Typically, the bang or the boom you might hear coming from your furnace is indicative of a dirty burner. This can be dangerous. The noise you hear is caused by a delay in ignition due to dirt and build-up. The gas builds up, and when it ignites, a small explosion occurs inside your furnace. Cleaning the burner yourself is not recommended. There is a lot of room for error, and you don’t want to spend more money in the long run. It is always safer to call in a professional, especially when dealing with gas. Rattling doesn’t seem like a very threatening sound, right? Wrong. If you are hearing a rattle coming from your furnace, don’t just assume it is a loose panel or screw. A broken heat exchanger can be the cause of the rattle. This may be due to a lack of airflow from a dirty filters or issues with your blower. This leads to excess heat, which ultimately leads to a cracked exchanger. This is very serious. A cracked exchanger can create a carbon monoxide leak in your home. If you hear rattling, you must contact a trained technician. To prevent this issue altogether, schedule regular cleaning and maintenance for the system. Shavitz provides excellent furnace repair in Glenview, IL. Schedule your service with Chicagoland’s Trusted Name in Heating & Air Conditioning Since 1904, Shavitz Heating & Air Conditioning, today. Is Your Heater Hurting Your Indoor Air Quality?